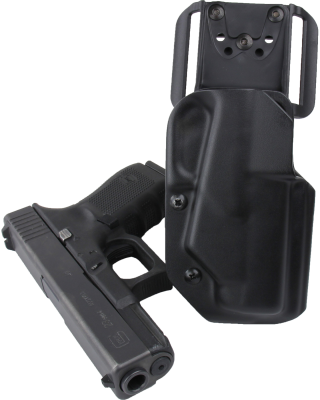 The BLACK ICE™ Holster is very popular with shooting sports competitors. 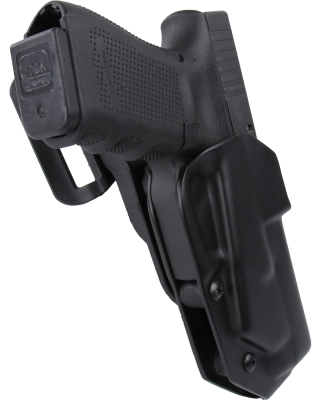 Featuring a “Full Combat Grip” it was designed to give the shooter a fast, smooth, unencumbered draw stroke from either standing or seated positions such as when in a vehicle or behind a desk. 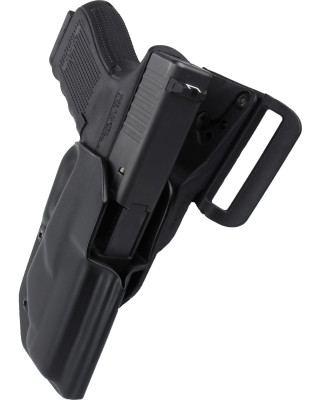 Drawing from the BLACK ICE™ takes less range of motion to clear the holster enabling the shooter to gain fast target acquisition. 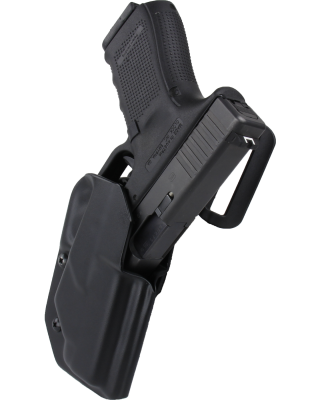 Re-holstering is also quick and easy. 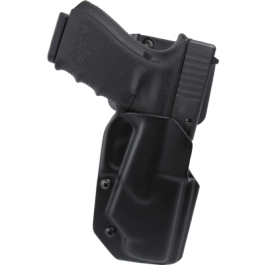 This holster is a great choice for IDPA competition or everyday carry. 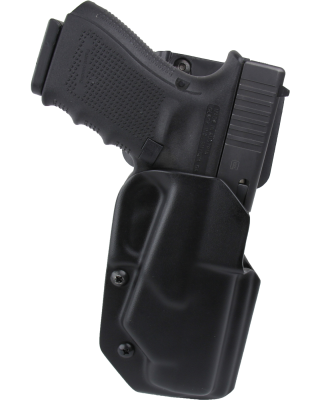 It is especially suited for those who drive long hours or who may have a limited physical range of motion.